Get my iBook 101+ Pro Style Football Offense Plays for your iPad or Mac. 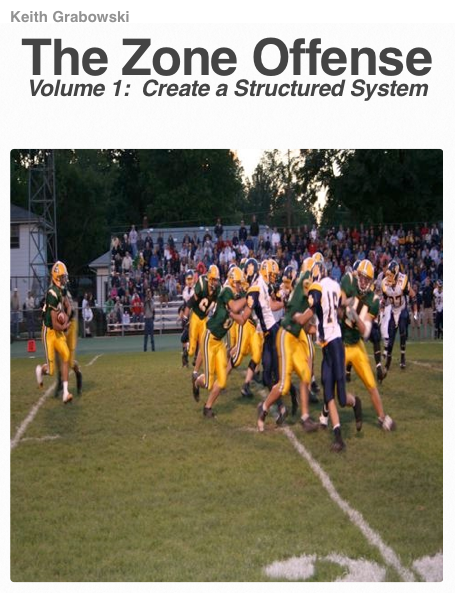 This post features video from my new iBook The Zone Offense: Create a Structured System which will be released on the iBookstore soon. Head Coach Jay DeCann from Little Falls High School in Little Falls, Minnesota is the winner of the free download for my current iBook, 101+ Pro Style Pistol Offense Plays as well as the down load for my next iBook The Zone Offense: Create a Structured System which will be available on the iBookstore soon. 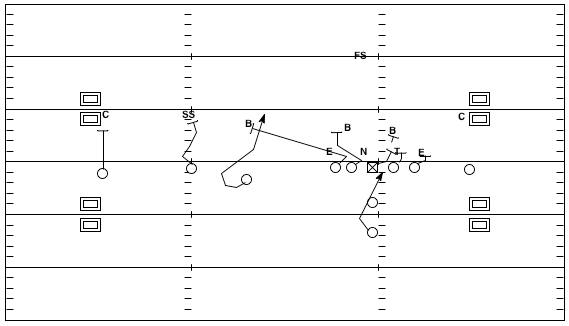 In studying game film from a previous season, I found a play that became of interest as we began to use the power read play more and more. We were looking for constraint plays for the power read play and other than the pop pass to the tight end, we didn’t have many plays that worked off of the power read backfield action. Colgate appears to be reading the frontside end. The play would be diagrammed as follows. 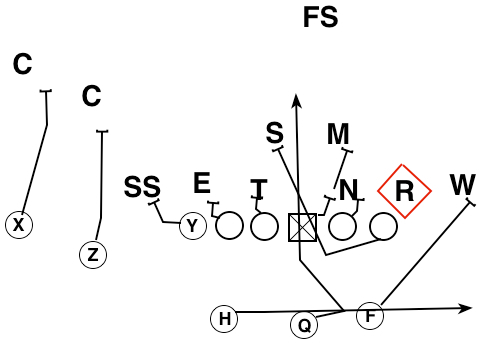 The read player is outlined in red. We were putting the play in at the end of the season, so we wanted to avoid the time on task the read would require. Our plan included blocking the defensive end who was the read in Colgate’s scheme. As the week progressed, we like the ice of pulling the guard as we do on power read to provide a false key and influence the linebacker to the play side. The play show some really good potential. We were left one on one with the safety and ended up just short of the end zone. Below are tight view clips from practice and the game. 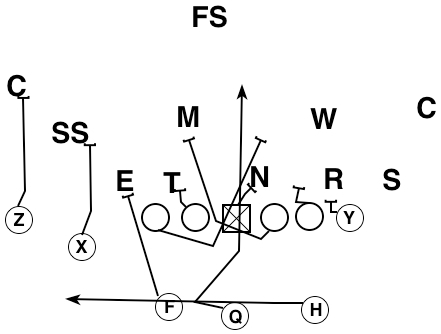 The power read is a play that can put stress on a defense. Finding plays that complement it make it even more effective. 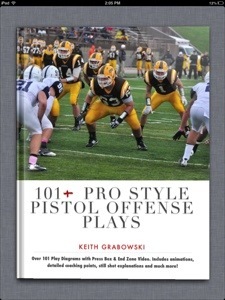 Learn more about our offense with 101+ Pro Style Pistol Offense Plays for the iBook or Mac.